Formed in 1891, Argentina's Primera Division is the oldest football league in the world outside of the United Kingdom. The distinguishing feature of the Primera Division is that the competition is now comprised of 30 teams evenly split into two zones of fifteen sides. The one zone encompasses the Greater Buenos Aires area, while the other zone and it's fifteen clubs are spread elsewhere throughout the country. The season ending winners of the two zones then play off against each other in a neutral ground hosted final to decide a national champion. This unusual structure, and the fact that so many clubs are based in and around the Argentine capital, means that there are numerous hotly contested derbies to look forward each season. While the rivalry between Boca Juniors and River Plate is known throughout the world, the derby between Independiente and Racing Club makes up for what it might lack in international recognition with an intensity that often spirals into violence. 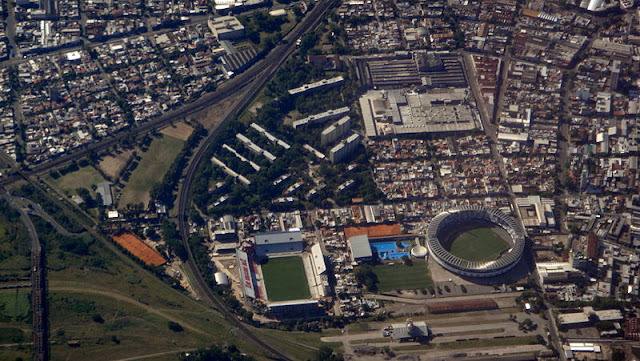 Based in the port of Avellaneda, the grounds of these two rivals geographically could not be much closer with only a few hundred metres separating Independiente's Estadio Liberatadores de America from Racing's Estadio Juan Domingo Peron. Only Dundee and Dundee United in Scotland can lay claim to having major grounds that are so close together. With both clubs coming into existence in the first decade of the twentieth century, the first Avellaneda derby took place in 1907 with Independiente taking home the spoils. But it would be Racing Club who would dominate the early years of Argentine football, claiming seven league titles in a row between 1913 and 1919, before returning for an era of dominance in the 1950's. While it took rivals Independiente a little longer to gain a foothold in the league, it was internationally where they would make their mark. 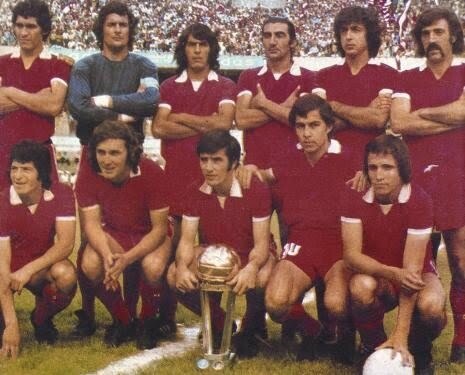 Back-to-back wins in the prestigious Copa Libertadores in 1964 and 1965 was followed by an unprecedented run of four straight titles between 1972 and 1975. The club won their still-record seventh South American club crown in 1984. While River Plate and Boca Juniors are the two best supported clubs in the land, the Avellaneda sides are very much the country's third and fourth biggest. Now who edges ahead in terms of size depends on who you ask. Since the early 1980's the passionate support for both sides quite often results in violence in and around the grounds on derby day, making this very much a fixture that the Argentine Football Federation and the police mark on the calendar as one to be wary of. One of the more serious incidents between the clubs occurred in 2002, when a massive brawl between the two sets of Barras resulted in 25 people being sent to hospital and the shooting death of a 22-year-old Independiente fan. 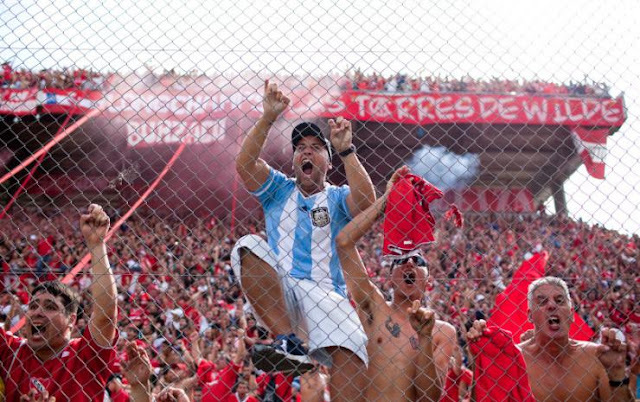 Another notorious meeting in 2006 saw fighting in the stands during a Libertadores match result in Racing fans attacking the police and having the match, which Independiente were winning 2-0, abandoned. As a result of this match, and a pattern of violence across several derbies across the country, the Football Federation banned all away supporters from matches in the top four divisions for the rest of the season. While the two club's footballing success has declined a bit in recent years, with the notable exception of Racing's 2014 Primera Division title, this very much remains the second biggest derby in the country.